A brand-new musical based on the novel and film of the same name arrives on Broadway starring Norbert Leo Butz. 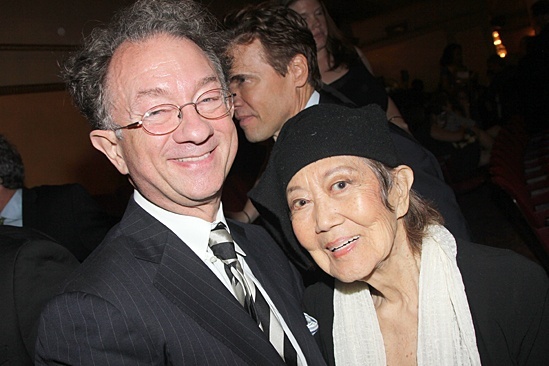 Big Fish costume designer William Ivey Long enjoys the party with fellow designer Willa Kim. Norbert Leo Butz, Kate Baldwin, Bobby Steggert and the cast of Big Fish celebrate opening night on October 6, 2013 at the Neil Simon Theatre.